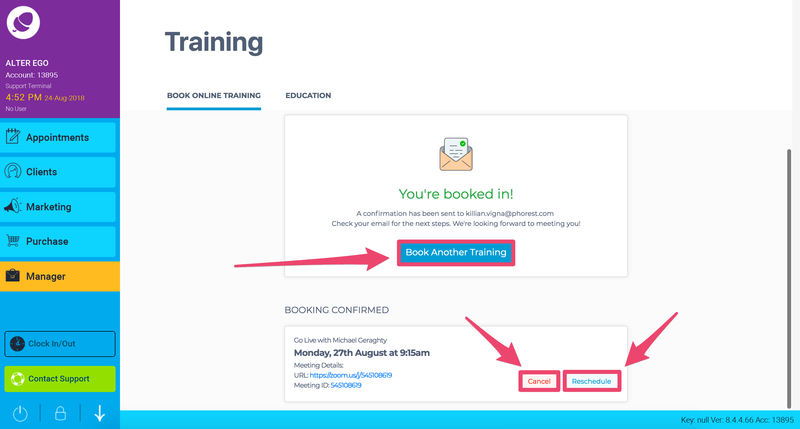 Trying to book Phorest training? No, you’re not lost and no you didn’t click the wrong link. Yes, our Phorest Training Calendar has disappeared. That’s right, but don’t worry because you can still book in for Online Training, only this time we’ve made it even better! 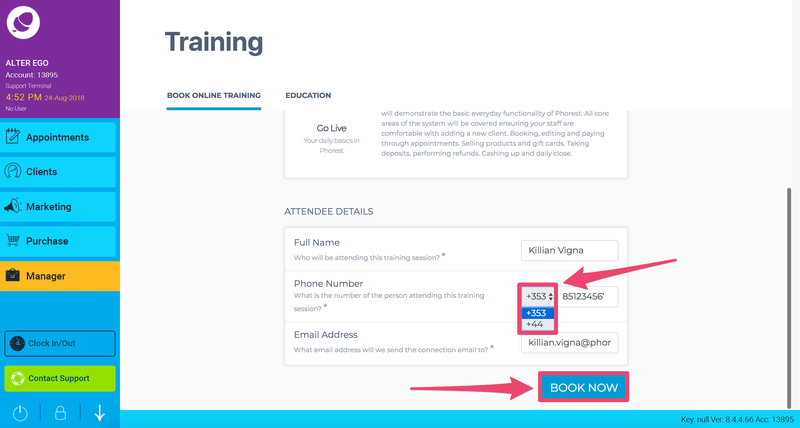 Now you can schedule an online training session directly within your Phorest Salon Software! You won’t need to call Phorest or even visit this link to book in for online training anymore. Instead, we have built a cool new feature that will let you book in real-time! 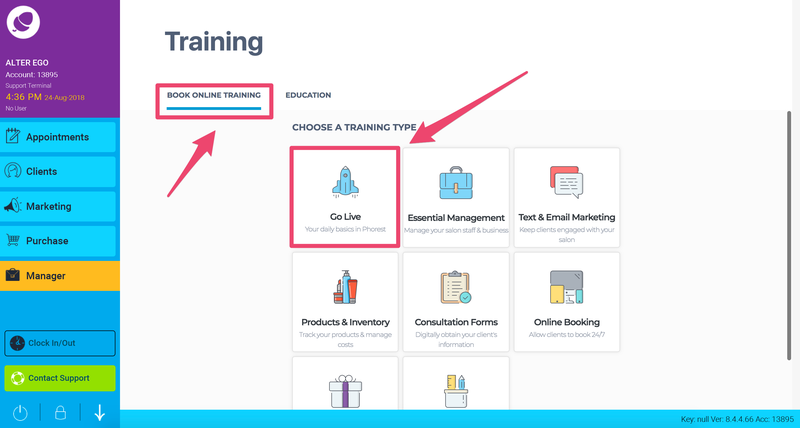 To book in for an online training session, open your Phorest Salon Software and go to Manager > Training > Book Online Training. In Phorest go to Manager > Training. On the BOOK ONLINE TRAINING page, you will see a range of training modules we offer. Click the module you want to book. On the next page scroll to the bottom to reveal the available times. Click on a timeslot or click Next Week to find more availabilities. At the bottom of the page, you can Request another time. Next, enter your Full Name, select your international phone code (IRE = +353, UK = +44, US = +1) and add in a contact number in case one of our trainers needs to call you beforehand. Finally, include an email address for us to send the training connection details to. Click BOOK NOW to continue. The confirmation page contains a summary of your booking information. 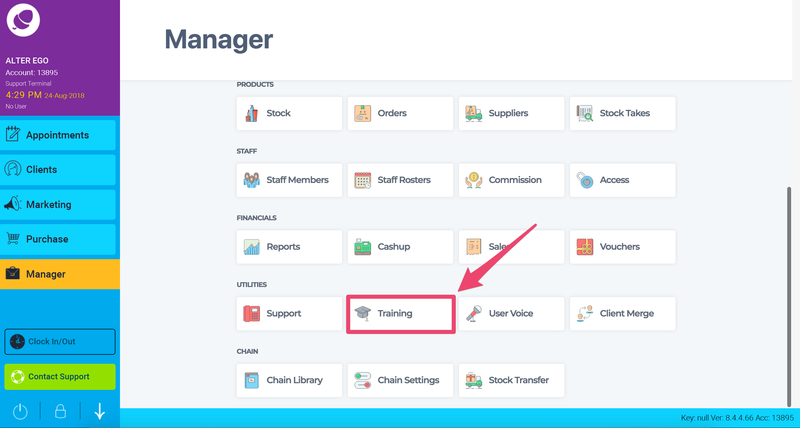 You will see the module, time & day, the trainer and connection details. You will receive an email with a record of all of this information which can be added to your Google, iCal or Outlook calendar to ensure you never miss a training session. 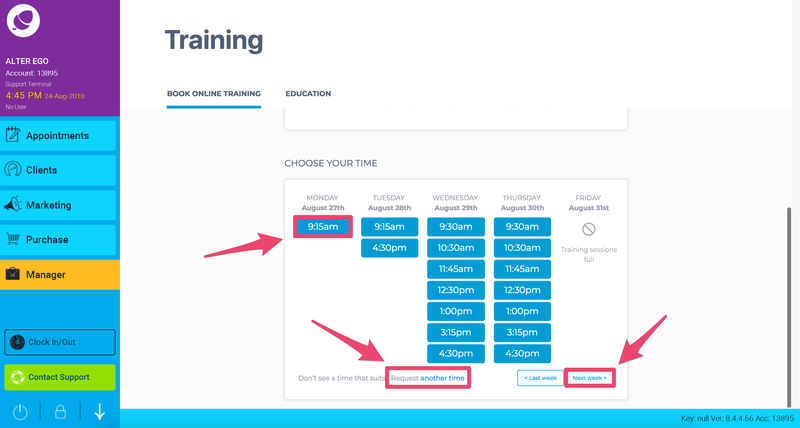 From this screen, you can Book Another Training, Reschedule or Cancel your training. N.B. Remember, a record of your training session, the connection link and instructions to sign in and a contact number to dial if you choose to call into the training will all be sent to the email address provided.